Welcome to a new installment of Jess’s Take. Today, we are highlighting some moves to reconstruct and rebuild the TVRG website after the website crash over the weekend. We got a new domain! 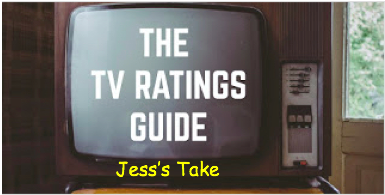 The new domain, www.thetvratingsguide.com, is what we decided on for the rebuilding process. You can still find articles on every subject you can think of. We are continuing to update our ratings databases one step at a time. We revived our programming series Do Not Resuscitate, and I personally added two articles into the mix: ’Til Death and According to Jim. This was enough to compile a library of DNR articles previously written by past contributor Bridger Cunningham to form the Do Not Resuscitate library. I also contributed an update to the Beyond the TV Grave library with an article about Limitless. In Do Not Resuscitate’s case, the two most recent shows highlighted were low rated shows kept around for unconventional reasons, such as syndication. Sure, ’Til Death did not last nearly as long as According to Jim, but the reasons were still unconventional. Unlike ’Til Death, According to Jim was not as much of a ratings joke (from season 5 onwards it was) as it was a seat warmer for ABC comedy, as ratings in the comedy department before Modern Family were near the cellar. It also actually made a lot of money in off-network syndication for ABC Studios. But I rest my case. TVRG is back in business and in full force. Stay tuned for more great articles to come.